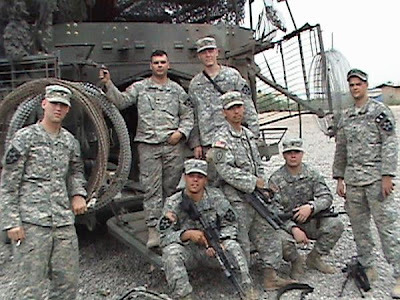 Family and Friends of the 4/2 Stryker Brigade: 1-38 Bayonet Co.
That's my son sitting in the front with his weapon. It does my heart good to see that they can still goof around! My son loves tuna....really! I pray to God they don't lose their sense of humor! We have some handsome boys...don't we?